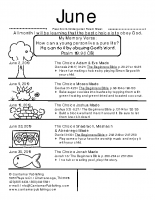 Parent Sheets are free take-home handouts designed to help parents reinforce lessons at home. 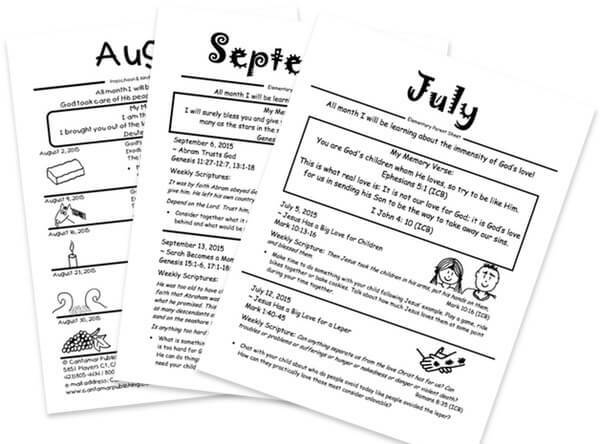 Parent Sheets follow our annual curriculum schedule and include memory verses, Bible stories, and at-home activity ideas. 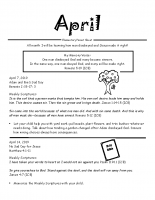 Plus, space is provided to add your church or school information. 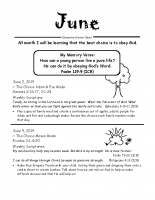 Download Parent Sheets below. 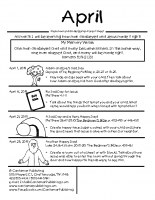 Print or reproduce as many as you need!